I'm currently in the midst of a make up spring clean which has allowed me to discover some forgotten favourites and those I'm talking about today are from Laura Geller. 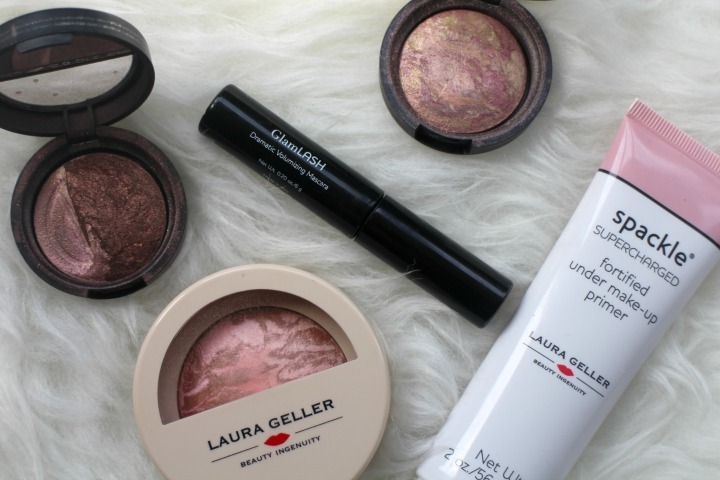 American readers will find Laura Geller make up on sale in Ulta but for us Brits it's found on QVC and if any of you have ever watched Laura you will be familiar with her best selling balance and brighten foundation, a product I remember using many years ago when I purchased on of her TSV's. A TSV set is where I discovered the eye shadow colours Pink Icing and Devils Food. As you can see the first was duo and I used Pink Icing and went on to purchase a full size such was my love at the time and they are in the familiar Laura Geller style of multiple shades swirled together and baked for 24 hours to achieve what you see in the pan. Both are easy and wearable shades, sufficiently pigmented for an everyday make up look and I've enjoyed throwing these into my make up bag on days when I don't want to put much thought into what goes onto my eyes. The blush I own is the Baked Brûlée Blush in Apple Custard which came via my friend Rose for my birthday and when I initially swatched this prior to applying I thought it was going to be a bit too much on the shimmery side for me but in fact I loved it. The bronze and pink shades swirled together give a soft pink colour which as I read somewhere and perfectly describes gives a pearl finish rather than the shimmer I was fearing and it doesn't highlight my pores. As my previous favourites post told you I'm enjoying wearing a highlighter lately although don't tend to bother during the week for work, this blush gives me that look without the extra product. It's also long lasting and was still in place after a days work and was part of the reason I reignited my love for Laura Geller products. Another product via Rose is the GlamLASH Dramatic Volumizing Mascara which I've really taken to. 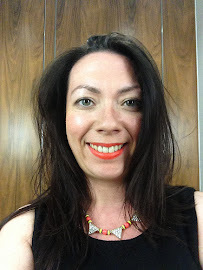 Said to achieve the glamour of old Hollywood with it's thickening and lengthening formula I was really impressed with how my lashes appeared after application. I've just read a review that someone applied with the Tarte Lights Camera Lashes Mascara which is a favourite so I will definitely be giving that a try. Finally is the Spackle Supercharged Primer*, I'm sure I remember Laura Geller talking about her Spackle primers long before Primers were 'a thing' so I was pleased to give this a try alongside the other primers I wear now. If you're not a fan of silicone-based primer formulas then you will likely prefer the Laura Geller Spackle as it's more gel like in texture. The tube I have comes with a roller application which I find too much of a faff in the mornings if I'm honest and I prefer to roll into my hands and apply but on warmer days or those where I have a bit more time there is a certain luxury about applying this with the roller. Have you ever tried anything from Laura Geller, I'd love to know if there are any other fans out there.